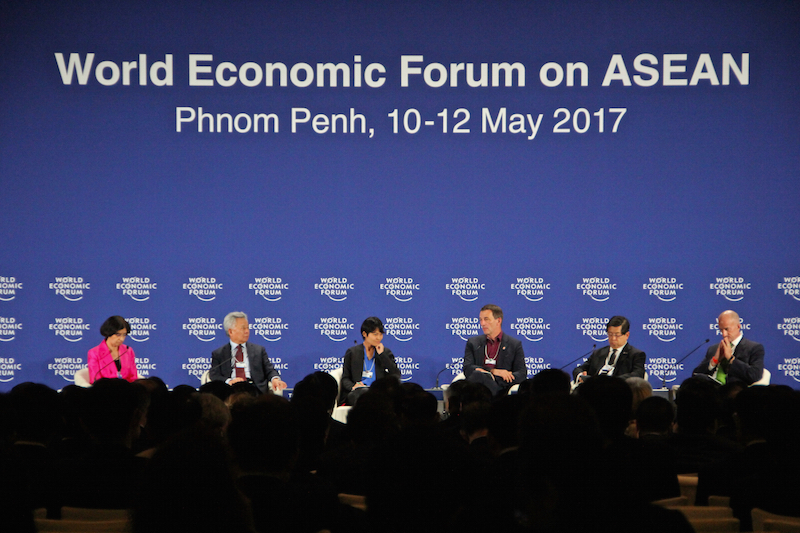 As delegates from across the region arrive today in Phnom Penh for the start of the 2017 World Economic Forum on Asean, economists, diplomats and businesses say the breakneck development underway in Cambodia, Laos, Burma and Vietnam—the region’s bottom tier countries based on income—is entwined with looming challenges and the potential for both riches and instability. Over-reliance on Chinese capital poses a significant risk, exposing the smaller economies to global shocks. Meanwhile, the next step for the countries—moving from lower-middle income to middle income status—demands that they reform the way they do business and build new kinds of industries—not a trivial task. Nevertheless, the four countries, frequently lumped together as the “CLMV,” represent a tantalizing frontier of high potential and growth, according to a range of sources. The countries have “become one of the most attractive investment destinations for major economies in the world,” says a report released last week by the ASEAN+3 Macroeconomics Research Office (AMRO). Forecasting GDP growth rates between 6.4 and 7 percent this year, the report says growing foreign investment has been key to the region’s development. 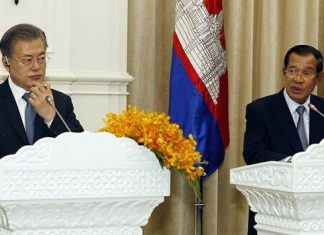 “Cambodia is always my favorite,” said U.S. Ambassador to Cambodia William Heidt in a telephone interview yesterday, perhaps necessarily. Mr. Heidt, who has long served the U.S. State Department with a focus on economic issues, said the common challenge in the CLMV countries was to diversify their economies, and Cambodia was beginning to make inroads with a broadening manufacturing base. “You see LBC [Laos, Burma and Cambodia] typically are narrowly based economies. In Cambodia, most of the economic activities are in three or four sectors,” Mr. Heidt said, referring to tourism, agriculture, garment manufacturing and real estate. With the Asian Development Bank (ADB) last year calling Cambodia “Asia’s new tiger economy,” Cambodia’s roughly 7 percent yearly growth has been well-documented. But the ADB also noted this year that soon Cambodia’s economy will need to move on from its reliance on low wages to developing innovative industries. Arup Raha, group chief economist at Malaysia-based bank CIMB, said Cambodia was benefiting from taking on lower-end goods that used to be produced in China. Labor costs in the regional superpower have continued to rise. But that was not enough for continued growth, Mr. Raha added. 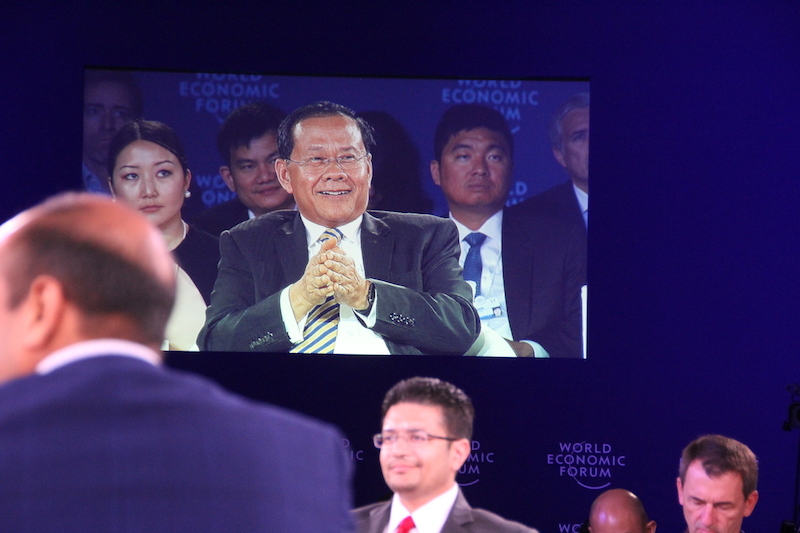 “Cambodia still doesn’t have the diversification of its production base,” he said. Even in tourism, he said, Cambodia is dependent on Angkor Wat as its major destination and needs to expand its range of attractions. “They could do more,” Mr. Raha said. According to the World Economic Forum’s latest ranking of 138 economies by competitiveness, Cambodia is 89th worldwide, an improvement of one position from last year. The ranking, which is based on a range of criteria, including infrastructure, efficiency, innovation and education, puts Vietnam 60th and Laos 93rd. Burma was not part of the report’s latest edition, but ranked 131st out of 140 economies previously. Corruption is cited as the most problematic factor for doing business in Cambodia, according to an executive survey included in the report. An inadequately trained workforce was cited most often in Laos and Vietnam. Asked which of the four CLMV countries they would pick as the most promising, most who gave a direct answer pointed to Vietnam. “I would probably place my bet on Vietnam given the country’s political stability (relative to the other three) as well as the positive direction of economic reform,” said Miguel Chanco, lead analyst for Asean at the Economist Intelligence Unit. Vietnam was also ahead of the others in diversifying its industries, Mr. Chanco said. With a population of about 90 million, Vietnam has far more people than the other three countries in the grouping, and also has the highest GDP at almost $200 billion in 2015, according to World Bank data. That compares to about $12 billion for Laos, $18 billion for Cambodia, and $63 billion for Burma in the same year. Keo Kounila, an independent public policy analyst in Cambodia, said one of the key strengths of Vietnam was the ease of doing business there. Within the past year, Telecom firm BT, hotels group IHG and insurer Prudential have expanded into Laos or have begun to, said Guy Dru Drury, the Confederation of British Industry’s chief representative for China, Northeast and Southeast Asia. “It’s a small and modest beginning but encouraging and exciting to see,” he said. Firms looking to expand to the market—the smallest within Asean—were confronted with challenges that include an unclear regulatory environment and authorities looking to protect local businesses, Mr. Drury said. “But on percentage terms, the opportunities outweigh the challenges,” he added. Overdependence on China is a frequently cited macroeconomic concern for the country, with the AMRO report listing a telling statistic: The share of Chinese direct investment in Laos jumped from 35 percent in 2013 to 62 percent in 2015, according to the report, using data from ASEANstats. According to the same data, in Cambodia, the share of Chinese investment has grown from about 23 percent to 32 percent, while the corresponding figures have plummeted in Burma and Vietnam, from 30 percent to 2 percent and 11 percent to 3 percent, respectively, it says. “Those developments are very much indicative of the evolution of China’s relations with those four countries—i.e. 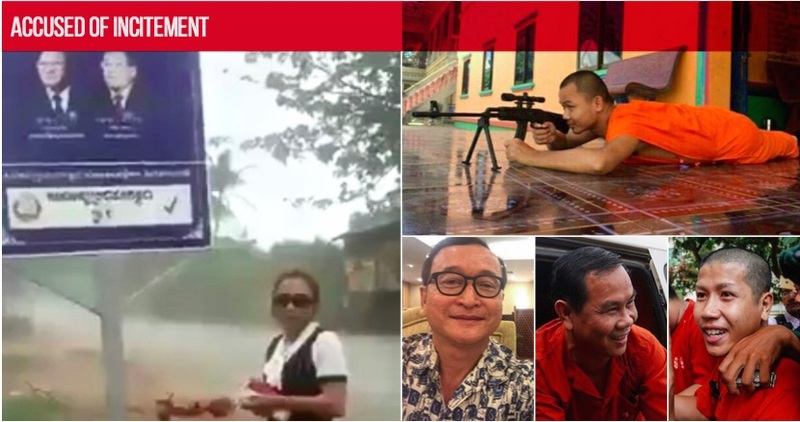 they got worse with Vietnam (see the 2014 maritime standoff in the South China Sea) and Myanmar (see the suspension of the Myitsone Dam),” the EIU’s Mr. Chanco said. Still, the booming trade with China is mostly seen as an asset for all four countries, said Mark Billington, Southeast Asia regional director of the Institute of Chartered Accountants in England & Wales. “The demand for natural resources, along with a population dividend, has meant that they are well positioned to benefit from the move up the value chain of neighboring countries, particularly China,” Mr. Billington said. Burma, with its recent transition to democracy following decades of military rule, has witnessed rapid changes amid the opening-up of its economy to the world. It has recently implemented a new investment law, and the country’s first phase of banking liberalization has seen Japan’s three major banks being granted banking licenses. Mr. Billington, of the accountants’ institute, noted that the “Big 4” accounting firms—PwC, EY, Deloitte and KPMG were also all now active in Burma. Tourism is rapidly growing in the country, and travel commerce firm Travelport and the World Travel & Tourism Council say its long-term growth is expected to be the second-highest in the world. But the AMRO report notes that despite a growing industrial base, Burma’s exports continue to be dominated by selling precious stones to China, putting the country’s progress at risk. “Medium-term political stability is also a concern in Myanmar, in view of the army’s still-strong political influence and the ongoing internal conflicts in its border regions,” said Mr. Chanco of the EIU. 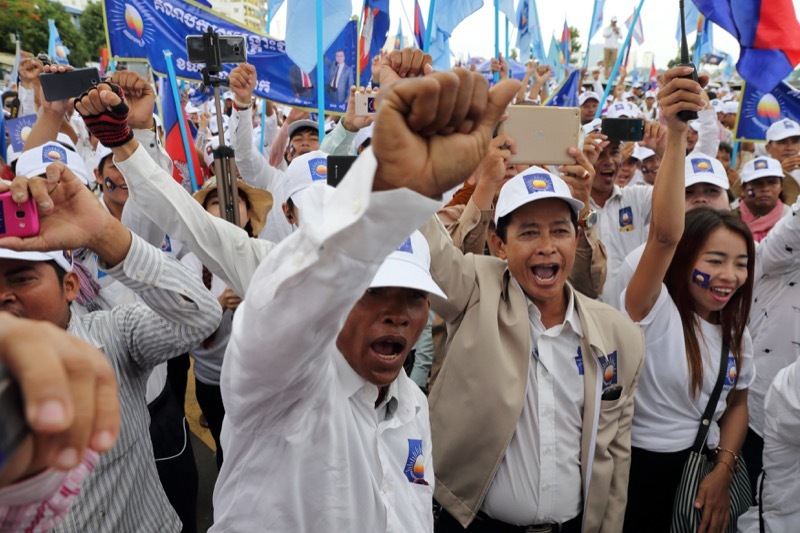 He added that it was a similar concern in Cambodia, where—despite elections coming up this year and next—the long-ruling CPP is expected to seek to maintain its grip on power, by force if necessary. In Burma, the government and its newly elected leader need to provide stronger leadership in guiding the economy, Mr. Chanco said. “Aung San Suu Kyi’s young government should be much clearer on her administration’s priorities in terms of economic policy,” he said. But the key for all the CLMV economies, argued Justin Wood, head of the Asia-Pacific region for the World Economic Forum, was to work together.